Working with clay and making functional pottery is incredibly satisfying. 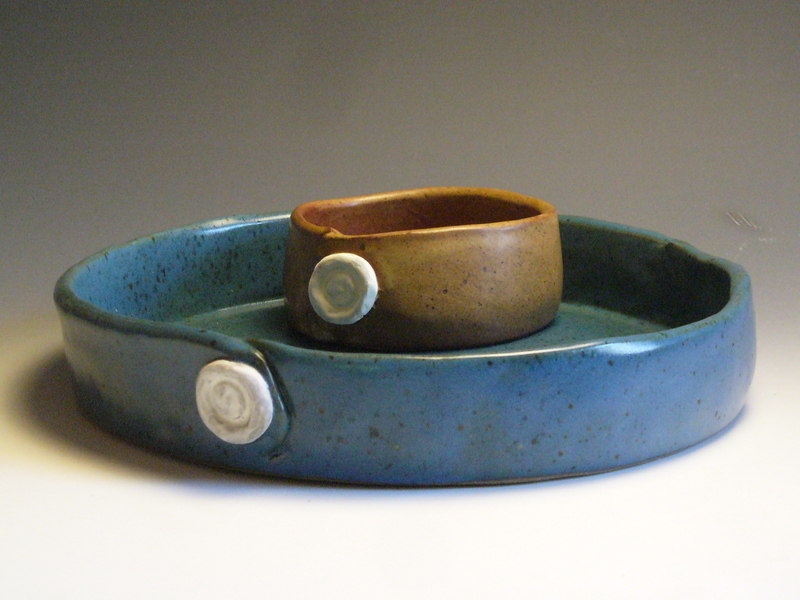 I have been making pots since I took my first class in college in the summer of 2000. I continued my formal training in ceramics and received both a BFA and MFA for my sculptural ceramics work. Now I am working to create a body of work that is functional as well as decorative. My work reflects the need to borrow from other areas of craft that I also have fallen in love with. This includes sewing, knitting and also home renovating. I hand-built and throw and I enjoy both methods equally. I strive to make every piece a little bit unique and you might find things to be similar in size but still have variation. Please join me in looking forward to that coffee inside that mug just as much as looking forward to the mug itself. Madison Potters Guild © 2019. All Rights Reserved.